Members at Skyline CrossFit can choose from a wide-variety of classes, from CrossFit Group to Weightlifting Club and much more! Just getting started? Be sure to check out our Getting Started page. “Foundations” or “The Skyline Way” is required for all who would like to take CrossFit group classes. Want to try out a class and don’t have experience? Every first Friday of the month we offer “First Free Friday” which every class is open to all, no experience necessary. You can enter group class and see how class is run and get a great workout in! 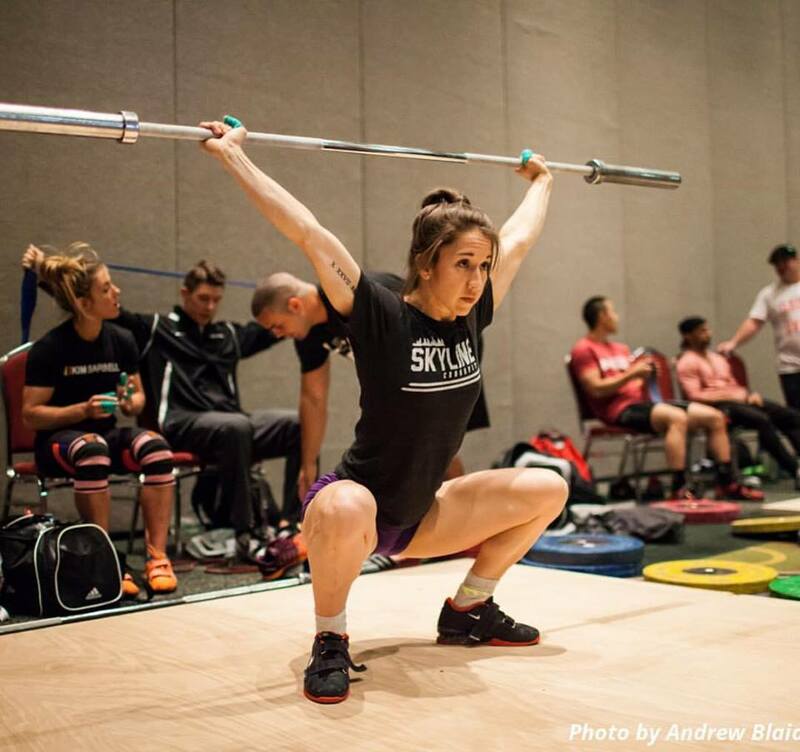 Are you an experienced CrossFitter who is looking to join Skyline CrossFit? If you’ve trained consistently at another CrossFit affiliate and want to check us out, come to any of our scheduled CrossFit group classes to try us out. For your first class, our coaching staff will do an informal assessment to ensure that you’re familiar with basic CrossFit movements and can safely participate in our group class programming. Your first class is free. You can sign up for a membership after class if you’re cleared. Are you a traveling CrossFitter looking to drop into class while you’re in town? We’d love to have you! Experienced CrossFitters are welcome to drop into any of our group classes. Your first class is on the house, and subsequent classes can be purchased at our $20 drop-in rate. You can also buy a week-long visitor’s pass for $55 which gives you access to unlimited classes for seven consecutive days. To purchase a week-long visitor’s pass, click here. If you’re transferring or visiting, please arrive to the gym at least 10 minutes early so we can get you set up. The one-on-one Foundations program is an opportunity for new athletes to learn the fundamentals of CrossFit who are looking for more of a private setting or who have limited availability. Athletes will graduate the Foundations program with a basic understanding of the CrossFit methodology including the fundamental movements, proper warm-ups and cool-downs, nutrition and mobility. One on one individualized training sessions designed to address your specific needs. Your coach will work with you to assess those needs and help you establish movement competency while building a base of strength and conditioning. This is a great option for anyone who has specific concerns or wants to tailor their training to reach a particular goal. You can also use personal training to prepare you for our general group classes. We also offer semi-private and small-group training. These ongoing Yoga for Athletes classes, designed and taught with the CrossFitter in mind, will allow you to start exactly where you are and build a foundation that supports your WODs, weightlifting, and overall quality of life. We'll learn and practice basic postures, focusing on the alignment and action of the body. Through a variety of standing, seated, kneeling, prone/supine poses, and even some inversions, the whole body will be stretched, moved, challenged, and restored. With consistent yoga practice over time, you can expect to increase your balance, improve coordination, develop more range of motion, create control of your breath, and calm the mind. People with previous yoga experience are encouraged to attend, as modifications and variations will be provided for all levels.